If you are asking what is Huayna Picchu and why do I need a Huayna Picchu ticket, than here we will explain exactly what is Huayna Picchu and why you need a ticket. While you are visiting Peru there are many attractions that you must visit while on your tour. However, the one place everybody who visits is the ancient Inca Citadel of Machu Picchu. Recently voted one of the Seven New Wonders of the World, Machu Picchu is the best example that remains of Inca Architecture. Never found by the Spanish Conquistadors the ruin remains virtually intact. Machu Picchu was discovered by Yale Professor Hiram Bingham in 1911 while he was looking for a completely different place. 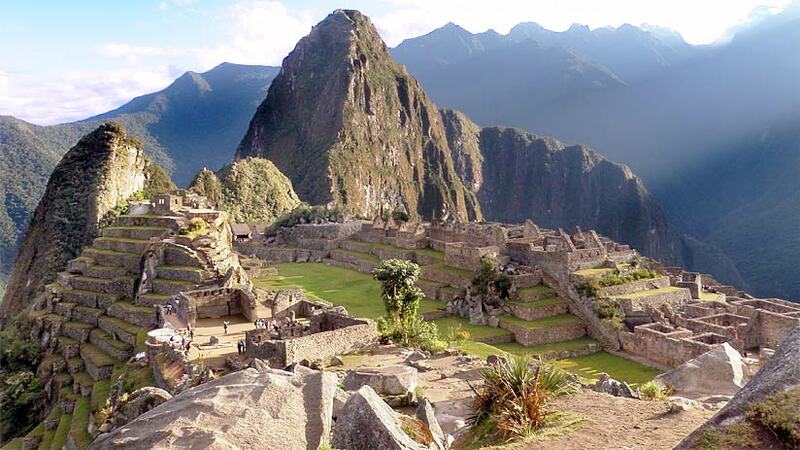 Machu Picchu was completely covered in jungle but has since been dug out and is open every day for you to discover. Located in front of Machu Picchu is the Huayna Picchu peak, one of the most photographed parts of Machu Picchu, the peak is accessible by taking the Huayna Picchu trek. 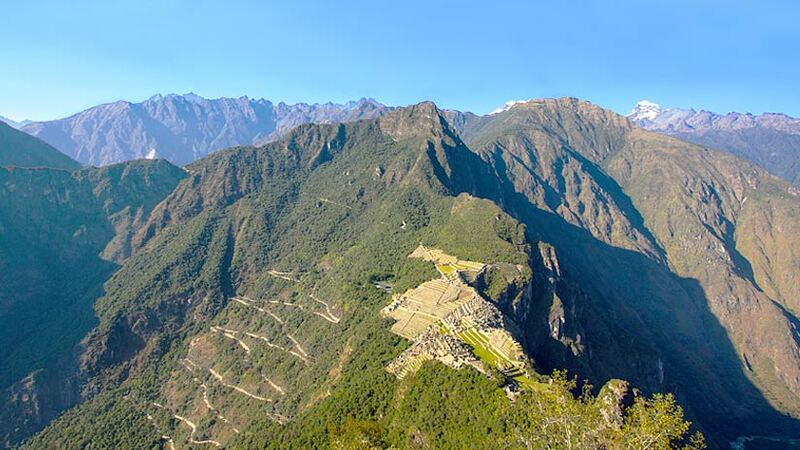 The climb to Huayna Picchu is considered one of the best short hikes on the planet, it is a great test of you physique with zigzag paths and stairways carved in stone. Once you reach the top, you will feel a great sense of satisfaction. The most important thing to remember is that you do not have a fear of heights you may experience some uncomfortable sensations. Children under the age of 12 are not allowed to do the hike. At Huayna Picchu, there are some fine examples of Inca architecture, like their viewpoints and buildings that are at Huayna Picchu. The view of Machu Picchu is amazing so make sure that you take your camera. 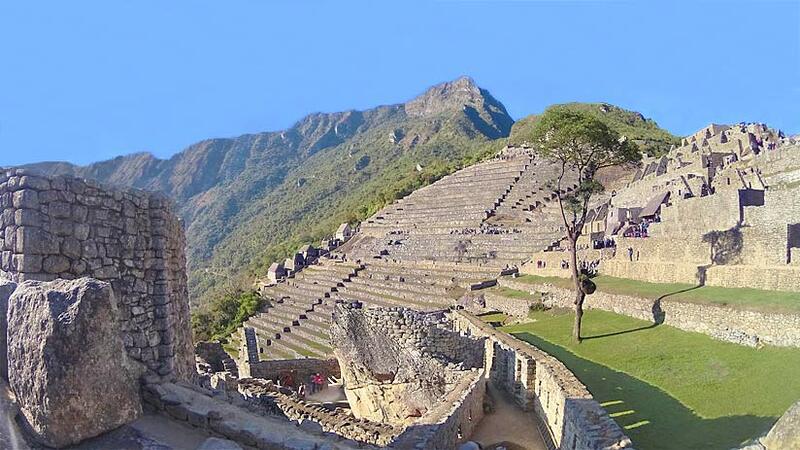 While at Huayna Picchu, do not forget to visit the Temple of the Moon that can only be seen at Huayna Picchu. Tickets to Huayna Picchu are in high demand selling out months in advance. There are 400 tickets release by the Peruvian government every day, 200 at 7am and another 200 at 10am. You may buy your tickets to Huayna Picchu online at the government website, follow the instructions but remember to book early. Your ticket is valid for 3 hours and you will not be allowed to reenter the site. You will need a good pair of hiking boots to climb Huayna Picchu with a slip proof bottom. Depending on the season you do your hike, it maybe raining so take a raincoat in case. Take a bottle of water with you, as the trek is around 3 hours return. If you think that you will get hungry take some snacks, but be warned you cannot take food into the site. Oh and do not forget your hat to protect your face from the high Andean sun. If you miss out on Huayna Picchu tickets do not despair, you can buy a ticket to Machu Picchu Mountain. The mountain is on the other side of Machu Picchu and the views are just as spectacular. Again this trek will take you around 3 hours return and is a challenging walk. There are also some free walks to take in and around Machu Picchu. Trek to the Sun Gate considered to be the entrance to Machu Picchu. 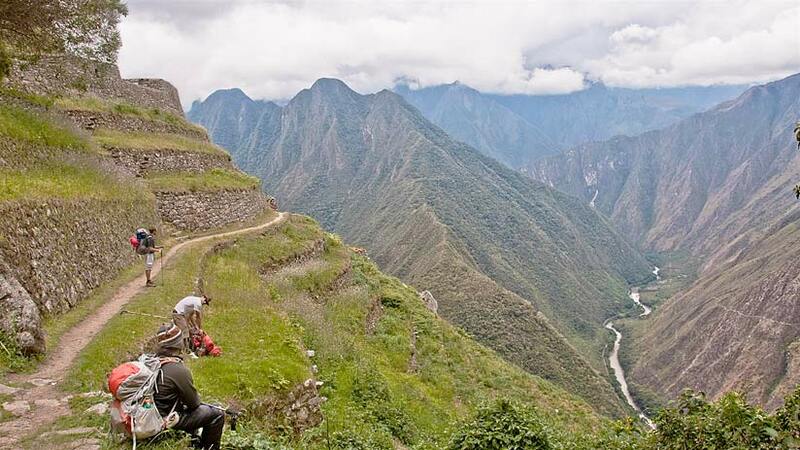 On a clear day, the views are very good and this is where you will encounter all the people finishing their Machu Picchu hike, otherwise known as the Inca Trail. The Inca Trail is a popular way to visit Machu Picchu; the hike is four days of hard work with some pretty rewarding things along the way. The other popular way to arrive at Machu Picchu is by train. There are several different styles of train with prices for all budgets. Firstly, there is the Expedition train, which is the most economical of the trains. A tourist train that is comfortable and has departures from the Inca city of Cusco daily. The next is the luxury Vistadome train that features luxury leather seats and glass panels in the ceiling for the best views. Also if you have the budget and really love trains than travel in the Belmond Hiram Bingham. Styled after the Pullman trains of the 1920s the Hiram Bingham is the ultimate in luxury. In the dining carriage, you will be served lunch and dinner on fine quality china. Complementary drinks are also served to help pass the journey. Things that you cannot forget during a visit to Machu Picchu are that you will receive one entry ticket to the ruins and you cannot reenter. You are not allowed at any time to walk on any part of the site, there are security guards and you will be in trouble. You need to enter the site with an official guide. No walking sticks or strollers are allowed into the site. You are allowed to take in water but not in glass containers. If you plan to go to Machu Picchu and plan to hike Huayna Picchu book early to avoid disappointment, if you are having trouble buying ticket contact a local travel agent to buy the tickets for you, this may cost a little more buy you will give you piece of mind. Travel To Machu Picchu machu picchu, treks. permalink.